Flowering shrubs add color, height, and softness to your landscape. If your landscape needs some definition and excitement, consider adding some of these flowering shrubs to your Ohio landscape. 1. 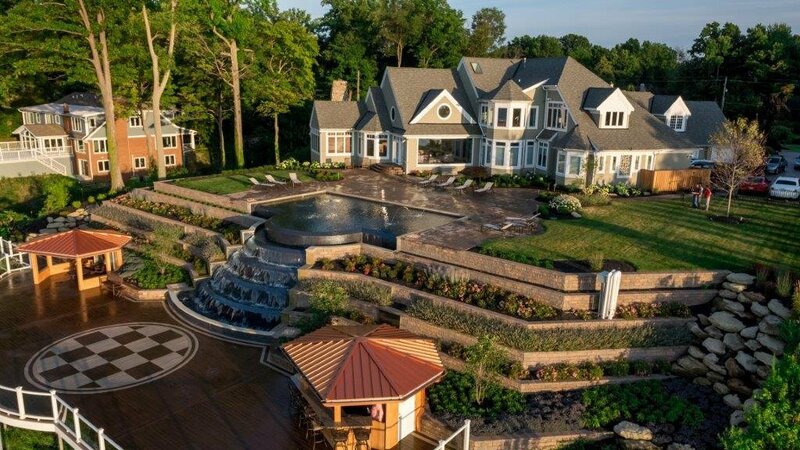 Hydgrangeas: Including hydrangeas in your landscape design adds color to your garden from mid-summer through fall. You can even dry the flowers and use them in flower arranging and crafts to keep the blooms around even longer. 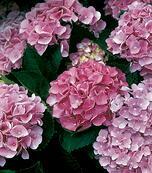 Hydrangeas are easy to grow if you plant them in moist, well-drained soil and give them partial shade. If you plant them in a place where they receive full sun, however, their flowers may become scorched or bleached. Hydrangeas are wonderful flowering shrubs for borders or as focal points for your flower beds. There are all kinds of cultivars available that do well in northern Ohio, so you can choose varieties of different sizes, different blossoms, and different colors. 2. Azaleas: Elegant azaleas bring a tropical look to your landscaping; their flowers are prolific and beautiful. Azaleas come in all different colors, from subtle pink and white to flaming orange and yellow. Ohio is home to a couple of varieties of azaleas, but there are many more varieties that thrive here even though they're not natives. Azaleas perform well when they're planted in acidic, nutrient-rich soil. It's also important to mulch your azaleas to inhibit root rot and protect them from the cold winter. If possible, plant them where they'll be sheltered from the winter winds. 3. Rhododendrons: Like azaleas, rhododendrons are showy and beautiful. When it comes to flowering shrubs, rhododendrons are the cream of the crop. They are, however, a little bit fussy, so it's important to take special care with their site selection and preparation. Rhododendrons grow best in sheltered sites that receive dappled sun in the summer and little wind. They should not be planted under a building's eaves because the soil will likely be too dry. If you have a spot for rhododendrons on the north or east side of your home, plant a grouping and enjoy their luscious flowers. 4. 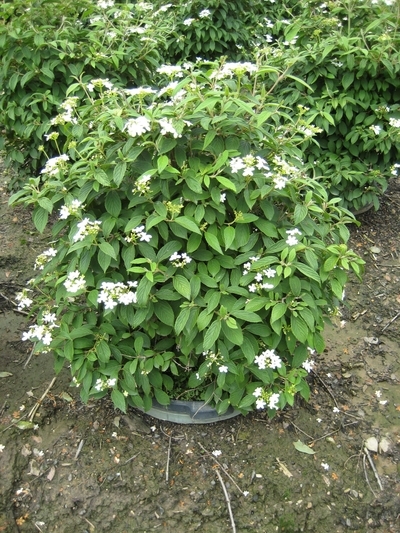 Spirea: Most varieties of spirea bloom in late spring to mid-summer. They're among the easiest flowering shrubs to grow and come in all shapes, sizes, and colors, so you can always find a variety of spirea to fit your needs. 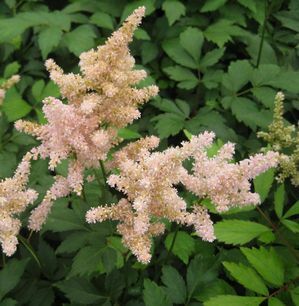 Spirea flowers come in pink, red, yellow, and white, and the shrubs themselves can vary from 2 to 10 feet tall and wide, so pay attention to the particulars of the variety you choose. Their flowers fall in cascades, giving them a romantic appearance. Choose spirea for low-maintenance and plenty of color. 5. 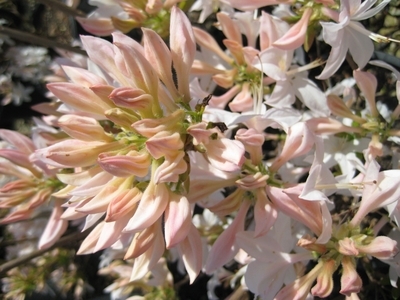 Viburnums: Virburnums can serve all kinds of purposes in your landscape design. Some varieties are perfect for planting close to houses; they add color and focus to a home's facade. Other varieties grow very large and work well for providing privacy or a colorful backdrop. Viburnums are hardy and resistant to pests, which means you'll have little ongoing maintenance to worry about. They also produce pretty fruits in the fall after they're done flowering in the summer. They grow well in both sun and shade, but they'll blossom and fruit better if they have plenty of sun. Understanding the shrubs' growing conditions is key to helping them to survive. If you plant them in an ideal location and properly amend the soil before planting, your flowering shrubs will perform beautifully for you year after year. You'll always have lovely blossoms to look at while you enjoy the summer weather.